Fashion matters. To the economy, to society and to each of us personally. Faster than anything else, what we wear tells the story of who we are — or who we want to be. Fashion is the most immediate and intimate form of self-expression. 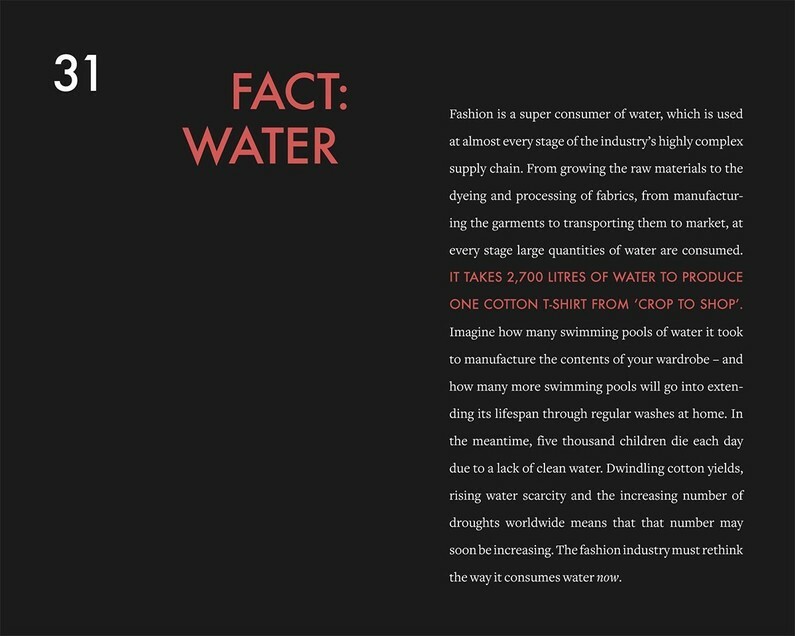 Did you know that it takes 2,700 litres of water to produce one cotton shirt from ‘crop to shop’? You’ll find this and more fascinating facts about contemporary fashion in Frances Corner’s new book, Why Fashion Matters. Corner, the Head of London College of Fashion, emerges with this book as one of fashion’s premier thinkers and critics. Her lucid verdicts are presented in 101 bite-sized reflections. Most books aiming to capture the spirit of fashion in a particular time and place read as biased accolades. Appearances must be kept up and glitches in perfection smoothed over, seducing and deceiving the reader. Frances Corner tackles difficult topics with the same certainty and resolution used for the ethically unambiguous sides of the industry. Corner ricochets from fashion’s impact on the environment and eating disorders to inhumane conditions in Bangladeshi garment factories. Her opinions are strong, but leave enough space to draw your own conclusions. As an academic, unobligated to pander to magazine advertisers, Corner can afford the luxury of being honest. The picture she paints of contemporary Western fashion is realistic rather than glamorous, but strips fashion of none of its lustre. Despite its flaws, fashion is a giant perpetuum mobile, employing millions of people across the globe. It sets in motion creativity and long-preserved techniques. 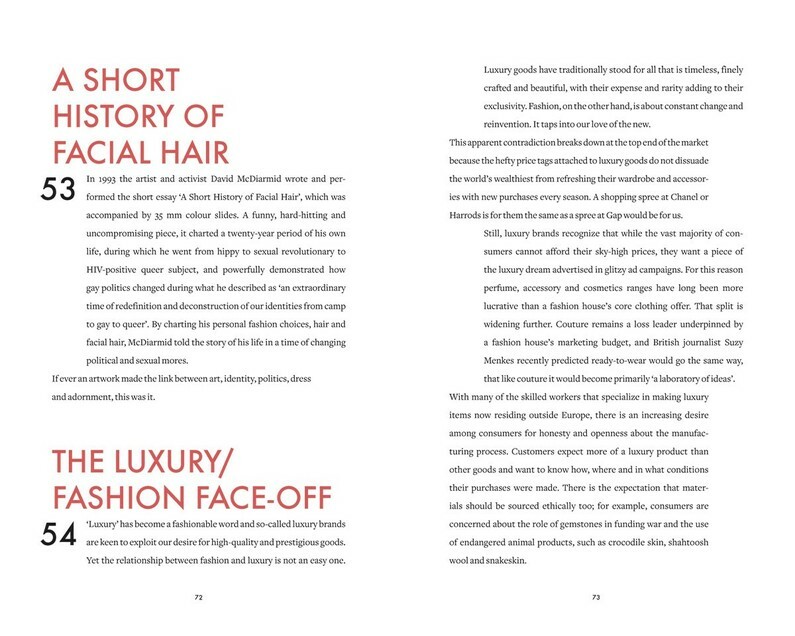 The book’s minimalist design is reminiscent of blogs — not fashion blogs (there are no images), but those relying on the power of words. Big, bold red titles and short, numbered blocks of text are well laid-out, suggesting that you don’t have to take in the entire book at once. You can return to it later — and you will. 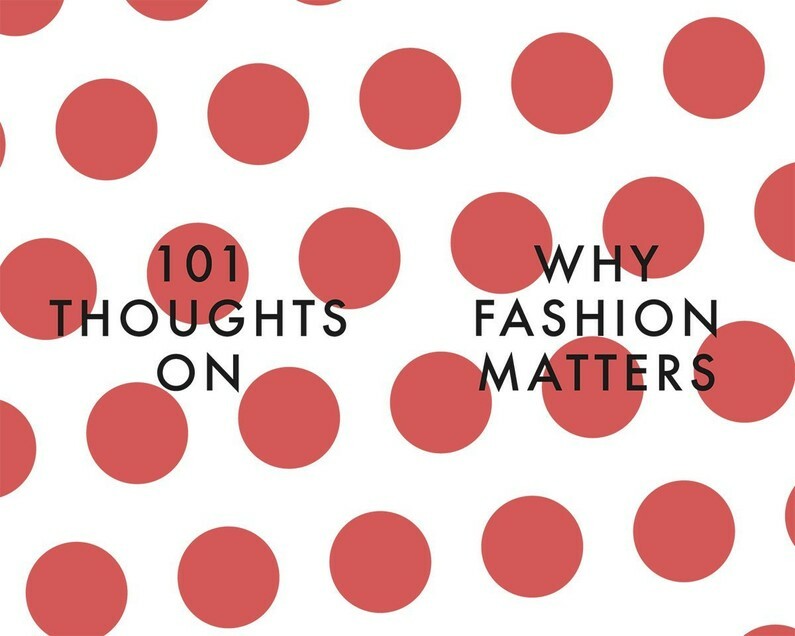 Chock-full of references to pop culture and history, Why Fashion Matters inspires you to make your own discoveries about the issues discussed. As for the skeptics and the uninitiated: if the wealth of facts and figures in the book fail to convince you that this $1 trillion industry is the past, present and future, you’re a lost cause. The book was sent to me by Thames & Hudson for review purposes. "As an academic, unobligated to pander to magazine advertisers, Corner can afford the luxury of being honest." But looking at Corner's accusation that "fashion is a super consumer of water" and her scare statement that "it takes 2,700 litres of water to produce one cotton t-shirt" I'm not so sure. It is misleading to assume that using a given amount of water in one place is somehow equivalent (in terms of morality, economics, politics or engineering) to using the same amount in another place. The cost of water varies by an enormous factor from place to place. If 2.7 tonnes of water are indeed used to make a shirt, you can be sure that the process in question takes place somewhere where no one values water much, and from where it would be prohibitively expensive to transport water to somewhere where they do. Note that no process, natural or artificial, creates or destroys water. The cost of water is entirely the cost of moving it from place to place, removing contaminants, etc. Hi Sarah! I think what the accusation meant is that an enormous quantity of water is used to make a single shirt while so many people in the world don't even have enough water to drink. Hi Eva, Yes, the implication of her/your statement is that fashion is immorally 'using' water that might otherwise be being used by people who don't have enough to drink, but that idea simply isn't true, as I attempted to argue above. A given amount of water in a place where water is extremely plentiful is not worth the same as the same amount of water in a desert, and to call fashion a "super consumer of water" is to suggest that it is the same, and that fashion is therefore bad, and shouldn't be doing that. Whereas actually, the production of cotton t-shirts (etc!) is a good thing, not a bad thing, and if it does take that amount of water to make a t-shirt, that water-'using' process is happening somewhere where water is extremely plentiful and cheap, as opposed to in a desert, otherwise cotton t-shirts would be a lot more expensive to make and buy.